Join the 2012 Election Novena Today! Holy Father: Reject "every assault on innocent human life"
"New Your City's oldest and largest abortion clinic stops abortions"
Holy Father: Reject "every assault on innocent human life." The effectiveness of our commitment to peace depends on our understanding of human life. If we want peace, let us defend life! This approach leads us to reject not only war and terrorism, but every assault on innocent human life, on men and women as creatures willed by God. . . .
How can people coexist, much less flourish, in a society lacking the shared belief that we are called to care for those unable to care for themselves, not to neglect, abuse or kill them? Such basic moral principles have served civilization well for millennia. Yet in recent decades, many people who influence public policy have promoted various exceptions to these principles . . . The nationwide death toll from abortions since 1973 is staggering . . . And yet the number of deaths alone cannot begin to convey the full impact of the loss to families and to our nation of each unique, unrepeatable human being, who was created with the capacity to love, to learn, to share and contribute to their families and to our country." Read entire statement.
. Sponsored by St. Joseph’s Respect Life Group. Life Chain is a peaceful, prayerful, public witness of the Christian community standing in honor and memory of the 55 million babies whose lives have been lost to abortion. Participants hold professionally-printed signs that are provided at each site and pray for human life to be held sacred in our nation. Visit LifeChain.net for more info. Sponsored by Life Chain. Check out Live Webinar: "Voting A Catholic Conscience!" 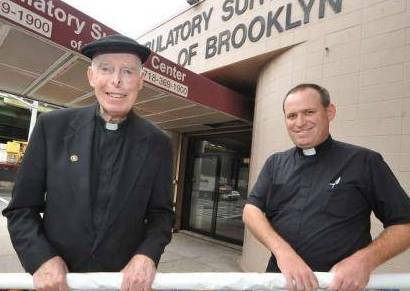 on Wed., Oct. 17 at 7 p.m.
New York City’s oldest and largest abortion clinic stops abortions due to pro-life "protests"
*The sidewalk counseling method used by Msgr. Reilly outside this now-closed abortion center is the same method employed in Dallas. Visit prolifedallas.org/sidewalk for more information. Some have heard in the past, and many more need to know today, about the cause of the death of Holly Patterson who sadly died from legal drug use. Holly was pregnant, and shortly after turning eighteen, went to Planned Parenthood (PP) clinic for an abortion. She was given deadly pills that led to her death a few days later. . . . With all these excruciating problems at Planned Parenthood, politicians should be tripping over themselves in outcry. The FDA should be banning the use of the pill for abortion. Neither is happening. Why? There is an ungodly war being waged on the unborn human life at Planned Parenthood. Read entire article.